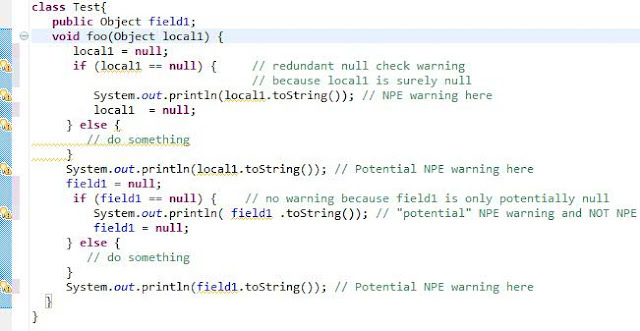 Does the Null Analysis for Fields take into account Synchronized code blocks? Hi Trevor, as of now there's no special analysis for synch'd blocks, but we have this in plan for 3.8 release. 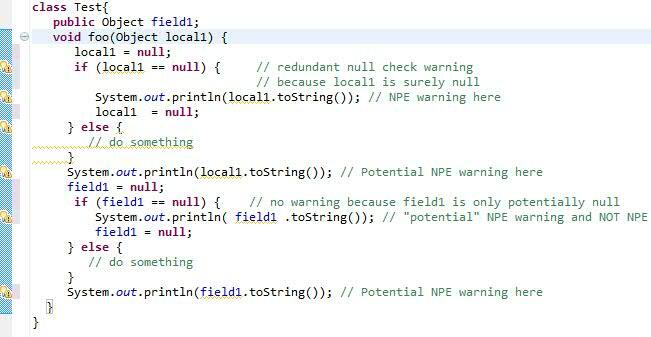 If a block of code is synchronized on a field, the field will be treated as a local variable inside the block, and there will be a NPE warning instead of a weaker potential NPE warning on it.